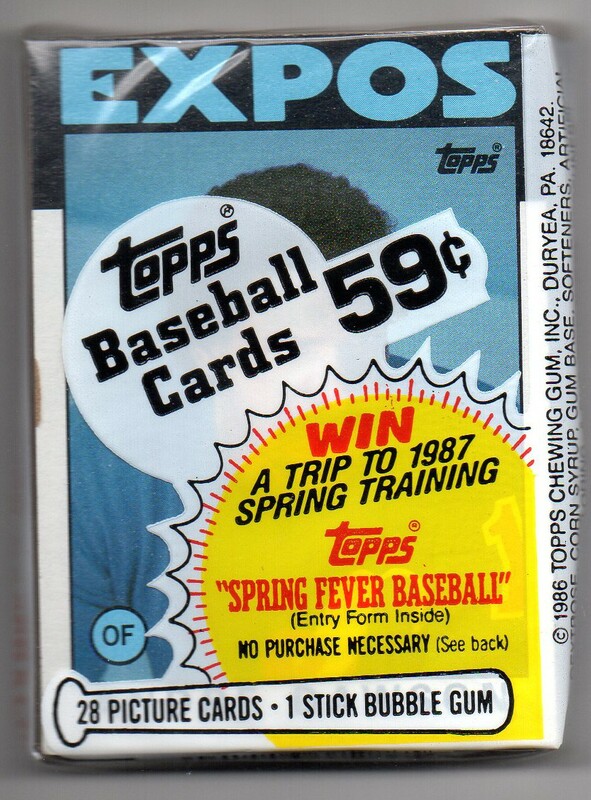 1986 Topps Sealed Cello Pack With Andre Dawson Card On Top! I am really excited about this pick-up for my ‘Ultimate Dawson’ collection. Two weeks ago, I found a seller on Ebay that had listed hundreds of sealed cello and rack packs from the 1980’s featuring the game’s top stars and rookies right on top in the pack’s window. 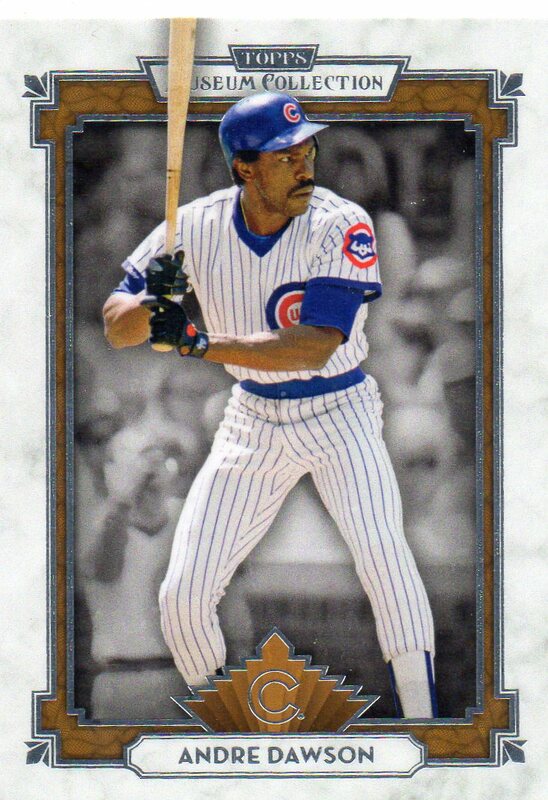 I was able to but three for myself – and all of them feature Andre Dawson as the stand-out card. The first one I will show off is from the 1986 Topps set release. While Dawson’s 1986 Topps baseball card is one of my least favorites from the 1980’s, I will let that pass as this is a very cool collectible for my collection. And for now, it is the oldest, sealed pack of cards in my collection that features an Andre Dawson baseball card as the centerpiece. When it comes down to it, I guess that I really don’t mind the manufactured relic cards that puzzle so many other collectors. I find them to be kind of neat, and a nice way to commemorate a player or event. What does puzzle me about these kinds of cards is how some of them continue to demand top-dollar while others can be had pretty inexpensively. I have been able to snag a handful of manufactured relic cards over the last few years. And while I know that the player being featured on the card is what ultimately drives the price and interest level of the public, I have been able to grab some great ones very affordably. 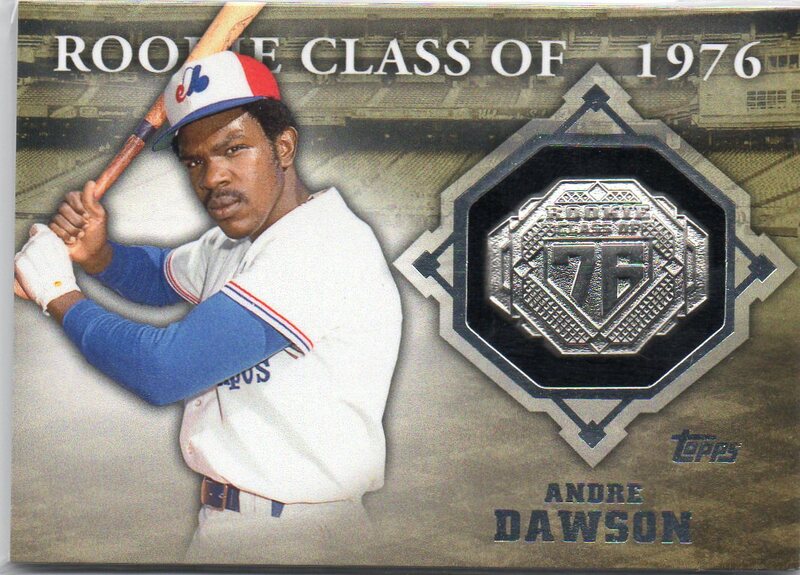 Like this one here of Andre Dawson from the 2014 Topps Series 1 ‘Rookie Class’ set. I love it! The card features a sweet, vintage photo of ‘Hawk’ from his early days in Montreal. And the ring-looking metal insert is a nice touch for the ‘Class Of’ theme. It took me a while to grab one of these for my collection, but my patience paid off and I was able to land one for my collection in my price range. A great addition to my Andre Dawson PC. This set has been a tough one for me to tackle as not too many singles have hit Ebay since it launched months ago. Thus far, I have the base card and the Blue card. And now, I have the ‘Bronze’. The bronze looks nice, the way that the color is used adds to the framing of the image of ‘Hawk’ and I think that the Bronze coloring allows for the Blue of Andre’s uniform to really pop. I’ve never really tried to put together a complete relic set from a specific product of a specific player at any time. For me, there is just too much involved with attempting to do that. Too many cards, too many low-serial numbered cards, and more likely than not – t0o expensive to go after. Still, I do try to grab what I can, when I can. And I have been able to pick-up three different cards of Andre Dawson from the relic set of 2013 Panini America’s Pastime tagged as ‘Career Numbers’. Each card is serial numbered to just 125 copies, and they all celebrate Andre’s 438 career home runs. As you can see, I have grabbed the Cubby Blue, the home White, and the home White with pinstripe. I have no idea if other versions of the same card exist. But, if they do and if they can be had affordably, I will do what I can to expand this set past three cards. 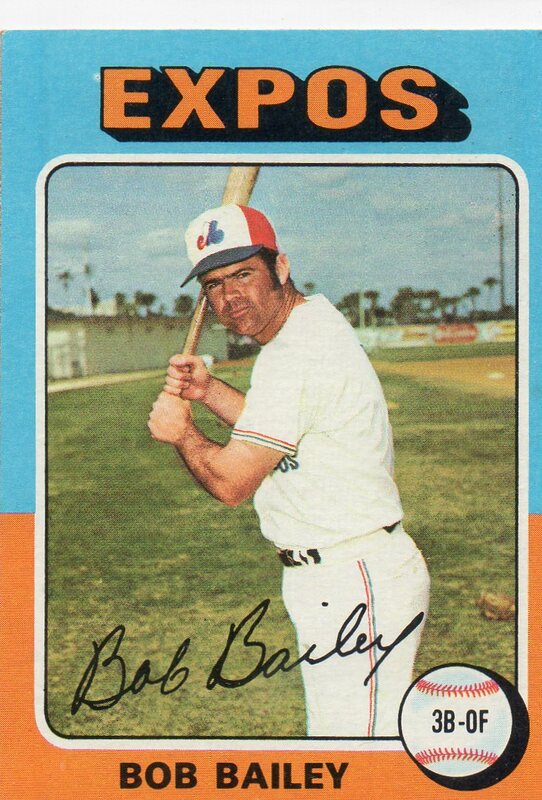 Notes From His 1975 Season: Bob Bailey played in 106 games for the Montreal Expos during the 1975 baseball season. He hit .273 with 62 hits in 227 at-bats for the team. Of his 62 hits, Bailey connected for 5 doubles and 5 home runs while also stealing 4 bases. 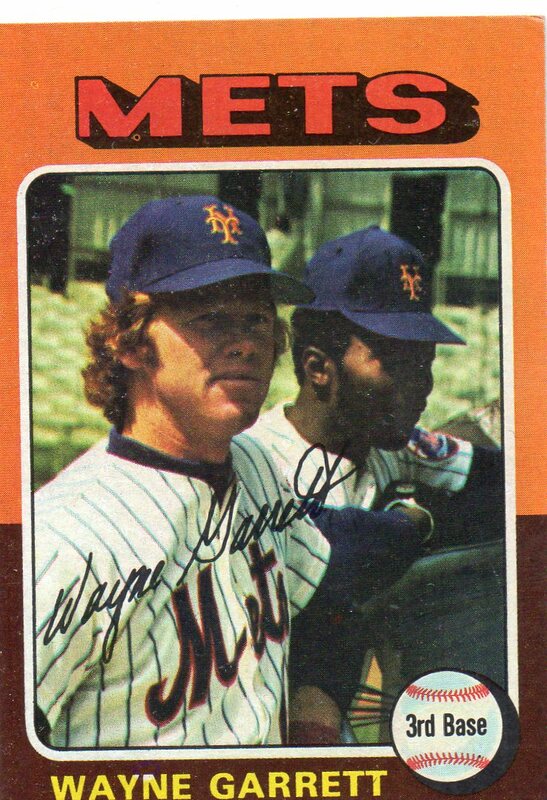 He drove in 30 runs in 1975, and also scored 23 times. Notes From Career: Bob Bailey is a career .257 hitter that played for five different major league clubs during his 17-season career. Bailey has 1,564 career hits that includes 234 doubles and 189 home runs. 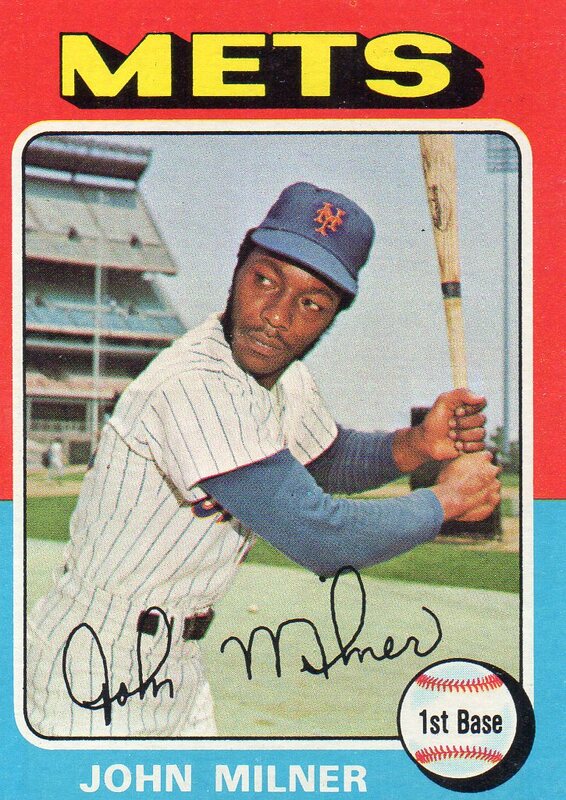 He stole 85 bases during his playing days while scoring 772 runs and driving in 773.